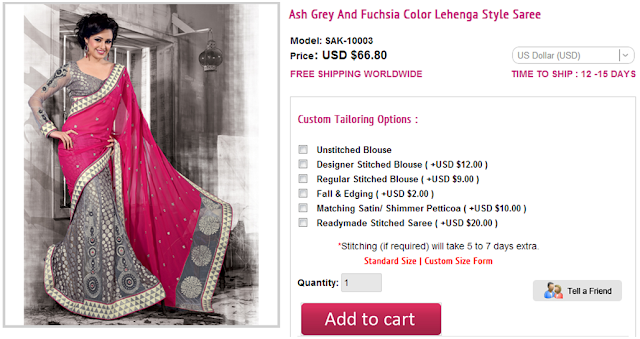 Color- Ash Grey And Fuchsia . Fabric-Brasso and faux chiffon . Work-Patch border, zari motifs and buttis . Costume/Outfit - Saree with Blouse Piece.